UPDATE (10th August 10:16 BST): Since the publication of this article, bitcoin exchanges Kraken and Bitfinex have also confirmed they will not apply for a BitLicense to operate in New York. Bitcoin businesses wanting to continue serving New York residents have approximately 24 hours left to file their BitLicense application. 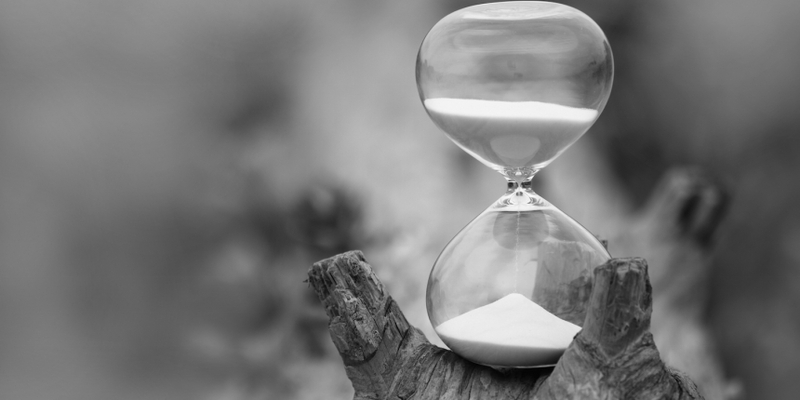 The deadline, set for 8th August, marks the end of a 45-day grace period following the publication of the BitLicense in the New York State register. Formulated by the New York State Department of Financial Services (NYDFS), the long-awaited regulatory framework has proved divisive among companies in the space. The question on many people’s lips is: who’s staying and who’s going? With the deadline looming, CoinDesk has spoken to various industry players to find out just how the BitLicense will impact the bitcoin ecosystem. New Yorker Jesse Chenard, ‎CEO at bitcoin exchange MonetaGo – which recently launched in 40 countries – confirmed his company submitted its 500-page-long BitLicense application earlier this week. The lengthy application process – it took MonetaGo’s legal team 30 days to prepare the submission – Chenard said, would constitute a barrier to some startups in the space. Applying for a BitLicense incurs a $5,000 non-refundable fee and companies may also face additional application charges set by the NYDFS. Applicants are also expected to submit a detailed background history of company employees, their financial and legal histories and outline their plans for operating their digital currency business. Despite this, the CEO noted that the BitLicense was a “necessary evil”. 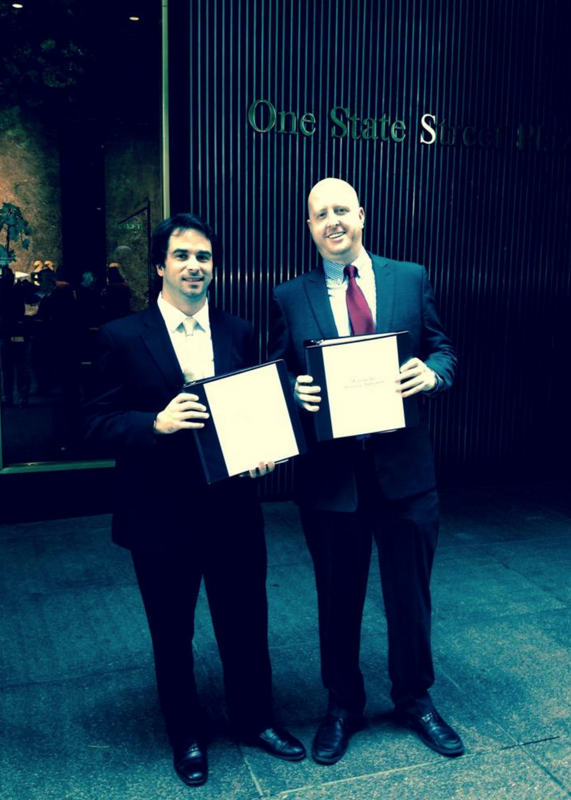 MonetaGo’s compliance team dropping off their New York state Bitlicense application. Photo via Twitter. For Chenard, the increased scrutiny is part of the reality bitcoin currently finds itself in. “As bitcoin becomes a tool for value transfer and more, over the next few years ​the need for regulators to be able to track massive cash movements is imperative,” he said. Looking to the future, the CEO hopes to eventually outsource some of MonetaGo’s services to help fledging bitcoin businesses to prosper without having to make the leap for the license themselves, but still remain within the law. New York-based bitcoin exchange Coinsetter, which acquired Canadian exchange Carvitex earlier this year, is also applying for a BitLicense. Jaron Lukasiewicz, founder and CEO of Coinsetter, said the decision was motivated by the desire to maintain a solid footing in the state of New York and bring additional confidence to consumers. With regards to the long-term impact of the BitLicense, Lukasiewicz said it was too early to tell, but noted the huge impositions of the regulatory framework for such a nascent industry as bitcoin. Cryptocurrency exchange Poloniex, on the other hand, has decided to stop serving New York residents. The decision, said Tristan D’Agosta, founder and CEO, is due to the fact the BitLicense does not cater to small businesses such as Poloniex. “We find ourselves in ‘no man’s land’, where we very much want to service our New York customers, but we are not big enough to qualify for a License,” said D’Agosta. Although the CEO said he empathised with state regulators – tasked with drafting and enacting laws to safeguard their constituents – to an extent, he believes that, like any industry, cryptocurrency has businesses of all shapes and sizes. “BitLicense was not written with small businesses in mind,” he concluded. Poloniex is not the only bitcoin business planning to cease operations in New York. For GoCoin, a digital currency payment gateway, the decision behind not applying is largely based on cost. “Eliminating a single state by geofencing is far more cost effective than going through the registration process and paying a fee that is more than we have made in revenue from any single state since the inception of the GoCoin business,” he added. For Beauregard, the BitLicense is about providing customer protection to people who are not actually requesting it. The regulatory framework, he said, was brought on largely by the failings of now-defunct bitcoin exchange Mt Gox. Erik Voorhees, CEO of digital currency exchange ShapeShift has spoken out against the BitLicense in the past and confirmed his company would stop offering its services to residents based in New York during an interview with the New York Post. Speaking at the time, Voorhees said the customer data requirements imposed by the BitLicense were “Orwellian”. The bitcoin scene is showing clear signs of division, with some companies continuing to keep a stronghold in the Big Apple and others packing up and leaving. Although the extent of the BitLicense’s true impact is yet to be determined, it is fair to say it will leave some New York residents with fewer bitcoin-related options.